I can’t retrace the social media degrees by which I discovered Austin-based musician/photographer Jess Williamson but I’d hazard a guess it was through her photos on Instagram. No matter the source, I have her music to enjoy as well. Having relied on Kickstarter to fund her forthcoming album, Jess will be releasing Native State, her second release later this year. 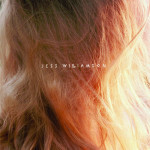 A banjo-playing siren, Jess released her Medicine Wheel/Death Songs EP in 2011. Aptly titled, the five songs on Medicine Wheel/Death Songs veer between spoken lyrics and half-sung, snide asides, underpinned by muted organ, minimal percussion and droning banjo. When combined, these musical elements create a brief series of ethereal, yet-to-be enacted revenge fantasies. Don’t let the voice fool you; these five songs can easily be considered pointed barbs delivered long after the fact. When delivered by Jess Williamson, such criticism may sting more, not less, with the passing of time. Stream and/or purchase the Medicine Wheel/Death Songs EP below.